As we age, our balance and stability aren’t as strong as they were when we were younger and that can lead to falls and injury. Also, as we age our bone and muscle mass suffers. Exercising will help strengthen bones, muscles and joints and aid in coordination. One of the best exercises for seniors are in-ground trampoline based ones. When you rebound on an in-ground trampoline you’re helping maintain your stability and balance and can help maximize your quality of life. We understand, though, that not everyone knows what a rebounding exercise routine is or how it can truly benefit seniors. Here are some of the many benefits for seniors who start a rebounding workout. It’s low impact and that means you won’t be putting any stress or strain on your muscles and joints. This is useful for anyone who has arthritis or other bone issues. Your cardiovascular health will benefit. When you take on a rebounding working you’re getting as many benefits as you would if you had a traditional exercise routine. You may see lower blood pressure, may strengthen your heart muscles and improve your circulation. Your bone density will benefit. When you use an in-ground trampoline you are getting a gentle impact workout that will help strengthen bones and help prevent osteoporosis or bone fractures. Balance and stability will improve. 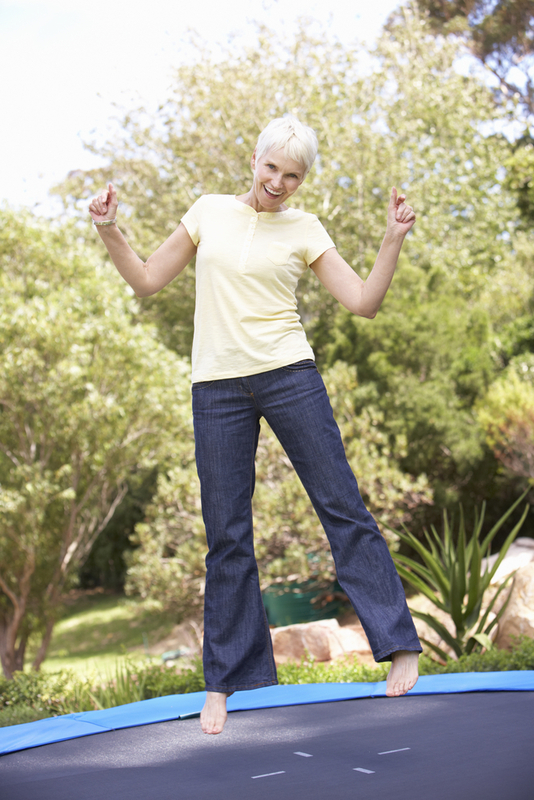 When you jump on an in-ground trampoline you are strengthening your leg muscles and your balance. This could help prevent falls and broken bones. It’s just plain fun! When you get on an in-ground trampoline you will be having so much fun it won’t seem like exercise and you’ll be more likely to stick with it. If you are looking for a way to get, or stay, in shape reach out to us and let’s talk about the best in-ground trampoline for your exercise needs. Remember, too if you’re a senior and if you have grandchildren they will love the idea of jumping on an in-ground trampoline when they come to visit!